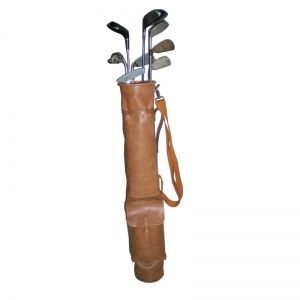 This is our easiest design of leather golf bag. 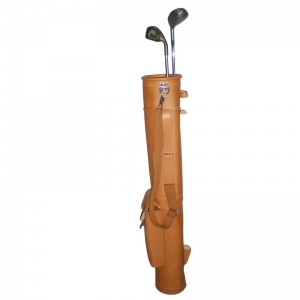 We have to stand out its elegance and functionality, that makes it to be an attractive product for people who love golf. This is a design specially made to be used in Sunday matches with your friends or to travel with your luggage where you want. It offers security to those who use it and at the same time, it impresses people by its lovely design and its high quality. 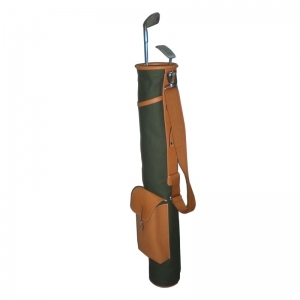 You will have more than a functional and attractive golf bag since you can make it in leather and even combined with canvas. 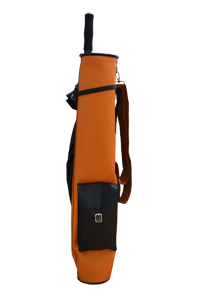 All our golf bags are handmade in the highest quality leathers which offer the best protection and also the best result. We choose the best and highest quality leathers on the market. 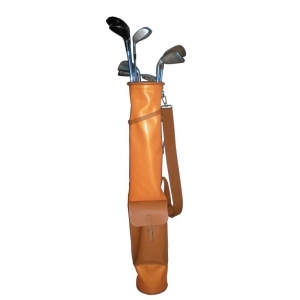 The canvas used to make the leather golf bags is made on reinforced cotton which has been suitably washed with special oils that let the golf bags to refuse water and other liquids, avoiding spots. 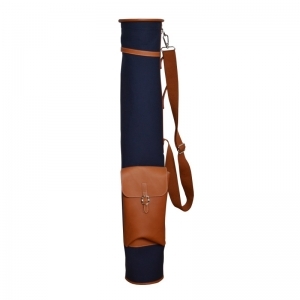 This is a design specially made to be used in Sunday matches with your friends or to travel with your luggage where you want since the dimensions are made to adapt everywhere.